The work belongs to a heterogeneous group which enriches a now-established pattern, with significant variations. 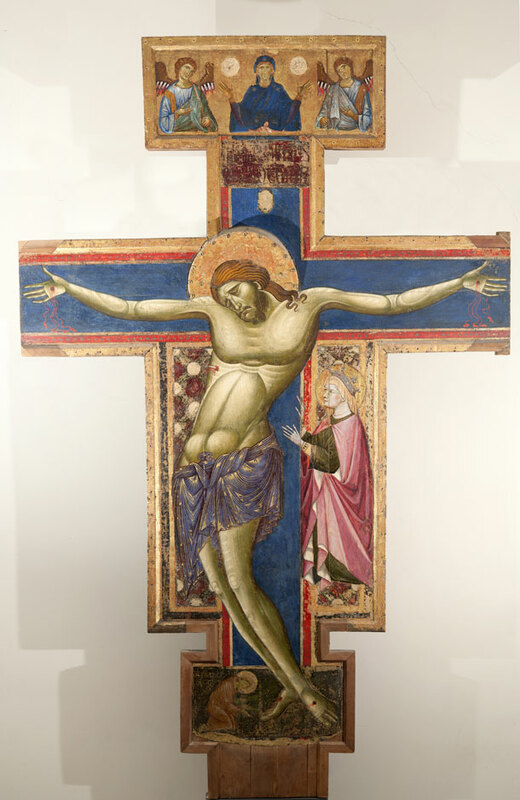 Visitors will see the Cross as soon as they enter the Gallery. They will be immediately attracted by the saint praying at the foot of the crucifix. Above, the Madonna in continual prayer, flanked by two angels, is a particularly elegant insert with deep theological meanings which cannot be developed here. 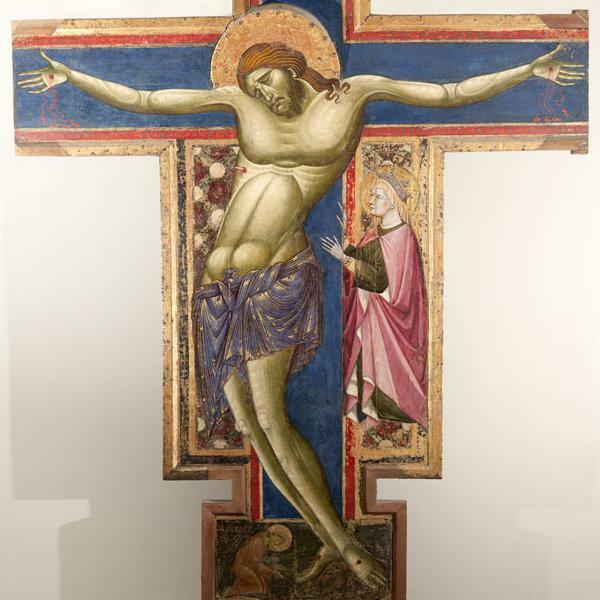 Christ repeats a model best known now through the works by Giunta Pisano and Cimabue.